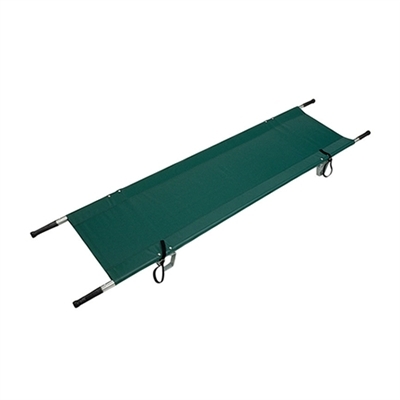 The Aluminum Pole Stretcher by Junkin Safety Appliance Company has poles that measure 1.25” with shaped nylon handles. Construction is sturdy but lightweight. Cover is durable 18 oz. vinyl coated nylon. Patient Restrainer Straps (JSA-504) and replacement cover (JSA-501-B) are available. Junkin Model JSA-501-NA. Poles measure 1.25” with shaped nylon handles.